Multiple reporting options cater to different business requirements. Reporting through application and through dedicated web-interface. Works on any phone, tablet and browser. Responses are uploaded automatically and can be viewed immediately in real time. Fully customisable user access rights. Can be converted and extracted in multiple formats. Ability to highlight performance trends and create follow up actions. Identify business key drivers and threats. 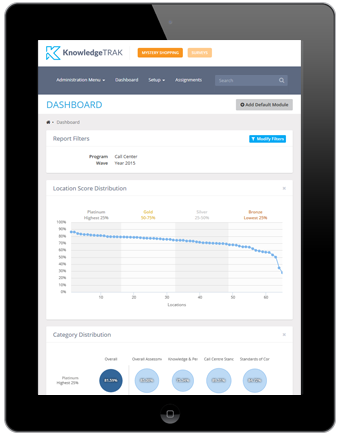 Customised dashboards, individual tailored access rights and mobile friendly analytics portal. Create your own branded mystery shopping assignments or surveys. Utilise our base of mystery shoppers to run assignments. Same top of the range reporting and analytics capabilities, full security and data encryption and a large pool of mystery shoppers across UAE and the GCC. Complete access to 12,000 mystery shoppers and researchers in the GCC. Strong presence in the GCC for the past 11 years with experience in measuring and assessing major international brands and government entities. Access mystery shopper demographics and assign projects based on business needs. Easy-to-use and to set up, fully customisable assignment dashboards. Ability for a client to create their own assignments and online surveys (self-service mode). Effective management of shoppers’ availability, shopper location verification through GPS and the ability to create complex assignments. Any type of question uploading and unlimited user access. Dedicated technical and customer support for all user types. (end user, allocated researchers, mystery shoppers and clients) through multiple interaction channels: Phone support, Email support, Chat support and based on case scenario physical face to face support. Technical training on all features and services. Real-time GPS tracking. Real-time check-in and check-out. Works on any device and any operating system. Geo-location capabilities for verification ensuring the validity and quality of the field work processed. 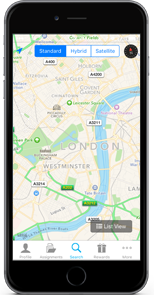 A user friendly mobile app interface that highlights all the location- based services and ensures complete awareness and alignment for the user. Seamless integration with Mapovate, the world’s first journey mapping software with dynamic, real time Voice of Customer analytics. stopped doing business with a company after experiencing poor customer service. It is no secret that employee happiness is becoming more difficult to understand as the years go by. The risk of staff underperforming or leaving is just as vital to the business on a whole as it is to the employer. Here are the top secrets that you can. robert-m-keay / Jan 14, 2019. While happiness is a state that cannot be forced onto an employee, there are many factors which can assist in uplifting that key factor in the office. Here are a few factors which can influence happiness levels in the workplace: Communicative Environment – Other than your home, you spend.